British Airways is providing cheaper flights to travellers who complete its confidence course for nervous flyers. The airline company is offering customers who undertake the course 10% off flights for up to nine people. 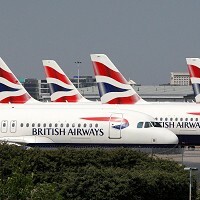 The British Airways Flying with Confidence programme operates at several airports across the United Kingdom. The next course will be held at Gatwick Airport on Saturday 24 March. Many people find flying to be a nerve-wracking experience but British Airways hope the course will allow people to fly with confidence. As well as the course, holidaymakers can also travel with confidence with cost-effective travel insurance from World First. Travel insurance can give you piece of mind on your holiday, allowing you to enjoy your trip worry-free. Travellers who currently find flying to be an ordeal are invited to take the course and have their concerns addressed by a range of flight professionals. They will have the opportunity to meet pilots and psychologists in a technical session at the airport before completing a 45 minute flight aboard a British Airways Airbus 319. The course, which includes the 45 minute flight, costs between £225 and £259.